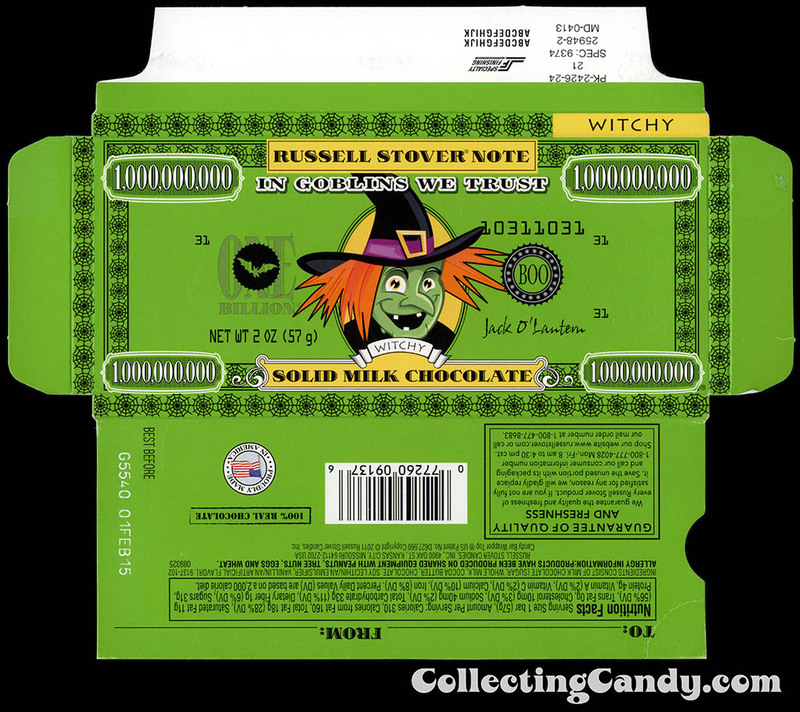 ← Flashback with Leaf’s 1973 Halloween Candy Sales Brochure! 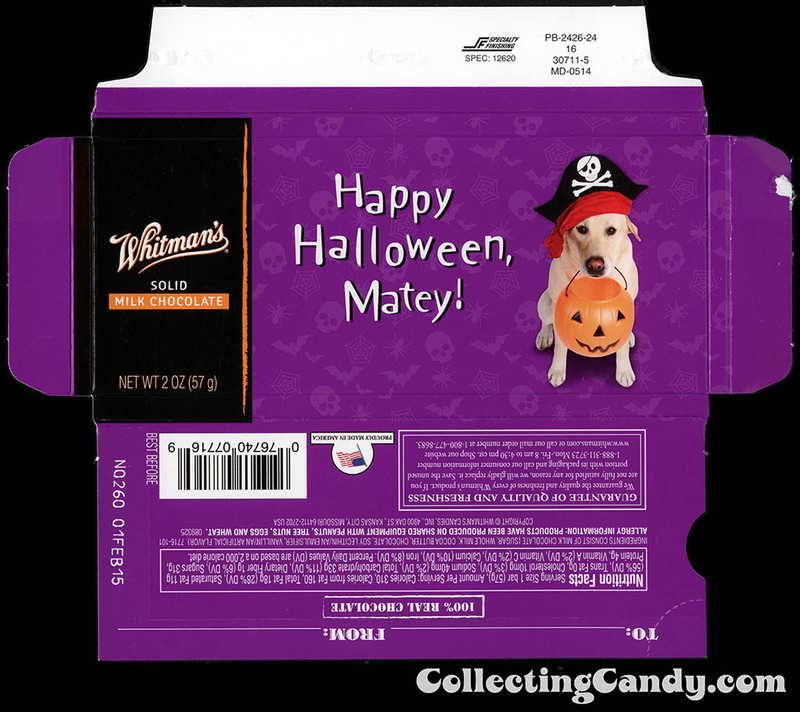 There are certain seasonal candy items you see on store shelves year after year and as they become linked to the holiday, encountering them can become celebratory and comforting, like seeing an old friend. 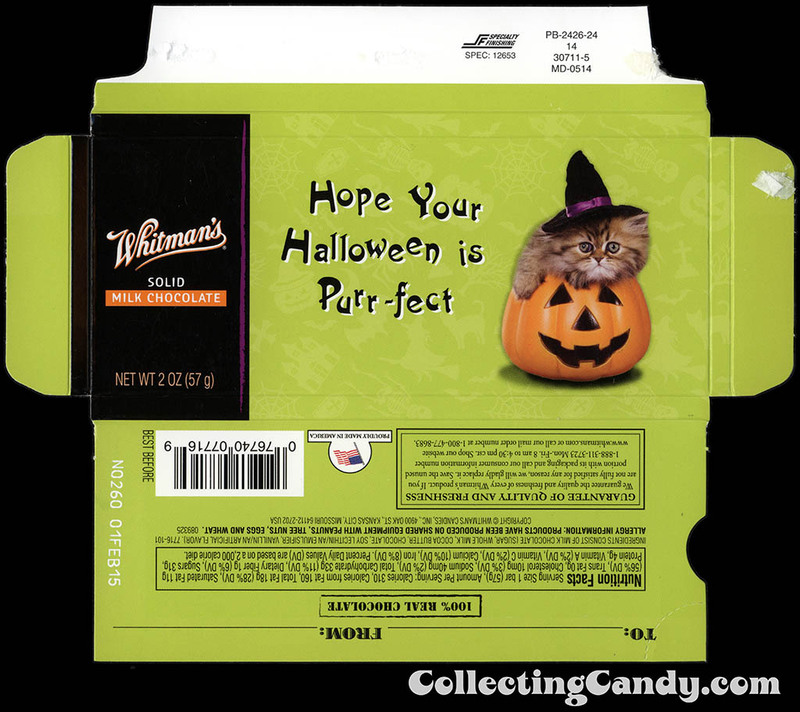 For the Halloween holiday season, Reese’s Pumpkins come to mind – they are a delicious old friend who visits every year. 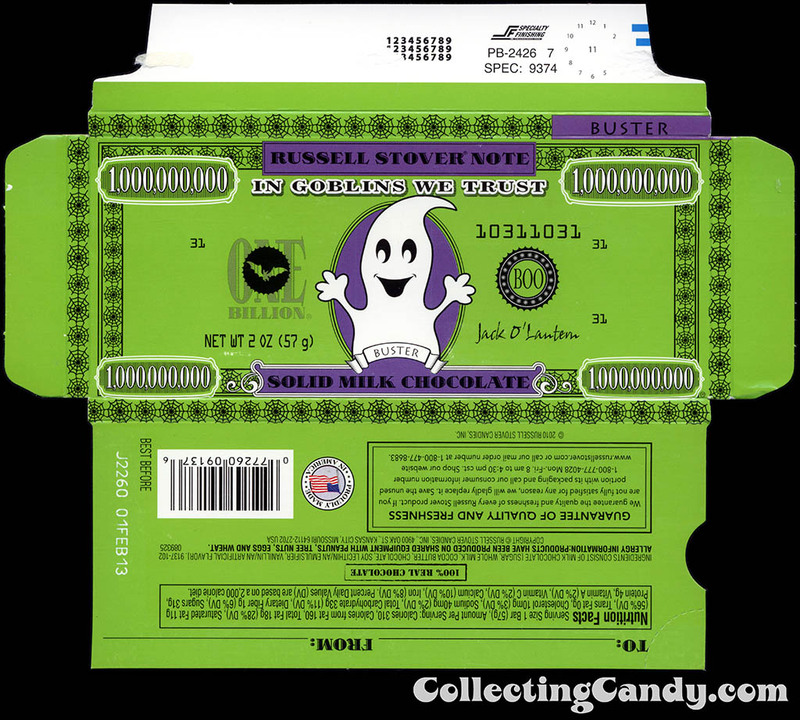 For the past few Holiday seasons I’ve been taking note of a newly-familiar offering, Russell Stover’s Billion Dollar Halloween bars. 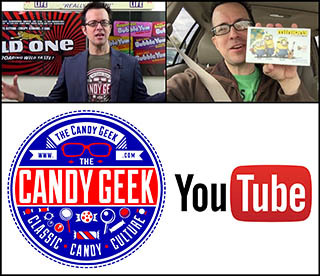 Make the jump to check them out! I first started picking up the Russell Stover Billion Dollar Halloween chocolate bar boxes back around 2011. Since then I’ve tried to keep up with when they get redesigned or they introduced new characters. Here are the ones I’ve managed to pick up thus far. That’s the full set of what I’ve been able to track down the past few years. Surprisingly, I didn’t find any of the Russell Stover Halloween Billion Dollar bars when I was out shopping this year. I can’t imagine they’ve been discontinued so maybe I just missed them this season. 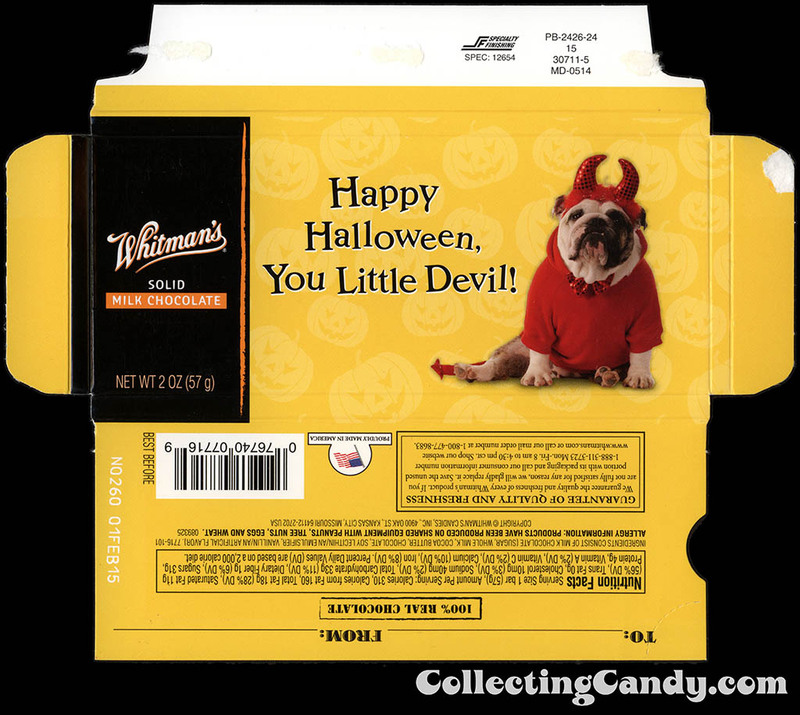 Russell Stover’s subsidiary Whitman’s also put out a fun assortment of chocolate bar boxes last year, featuring animals in Halloween costumes. 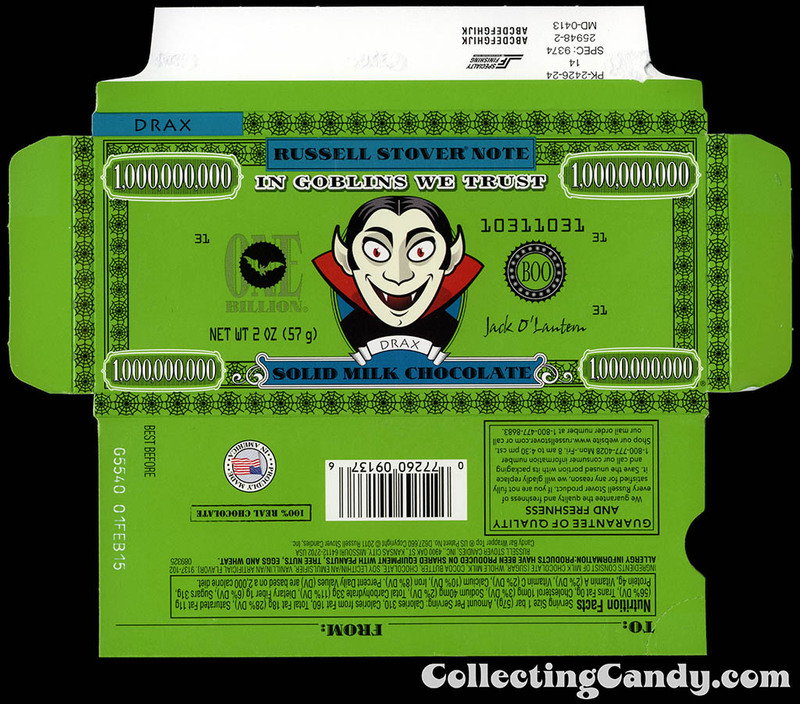 Before wrapping up today’s post, I should bring up that I’ve previously covered other chocolate bar boxes from Russell Stover’s and Whitman’s which you can see here: Whitman’s Peanuts Halloween Chocolate Bars, Russell Stover’s Valentine Hearts (and Chocolate Bars), Russell Stover’s Collegiate Chocolate Bars. And that’s everything I’ve got on Russell Stover’s Halloween Billion Dollar bars! See you next time! 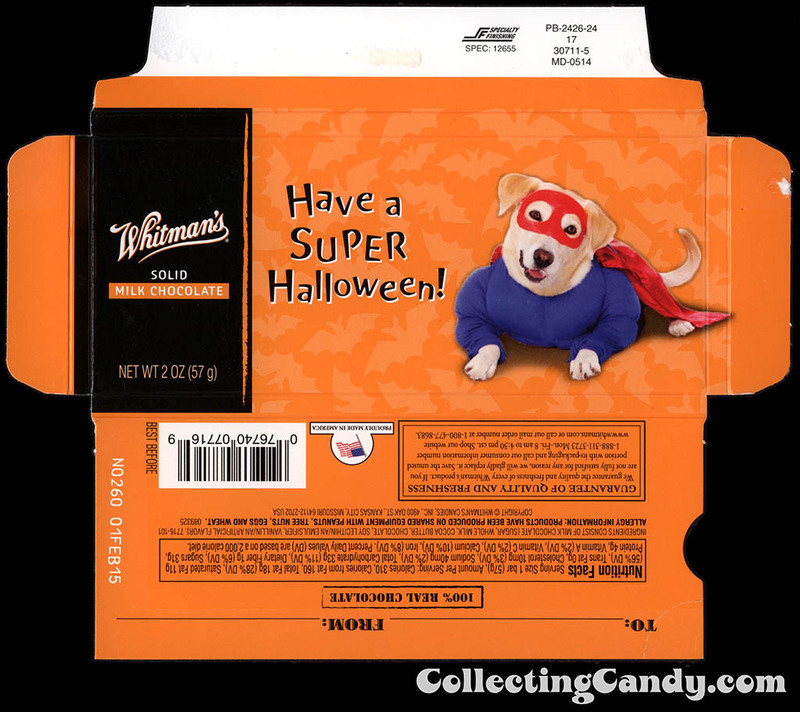 This entry was posted in Boxed, Chocolate, CountdownToHalloween, Halloween, Holiday and tagged candy collecting, candy collection, candy collector, candy wrapper collection, candy wrapper collector, collectible, collecting candy, confectionery, confections, Frankenstein, Halloween, Halloween candy, mosters, packaging, packaging design, seasonal, sweets, vampire, vintage candy wrappers, witch, witches, wrapper. Bookmark the permalink. 1 Response to Russell Stover’s Billion Dollar Halloween Bars!